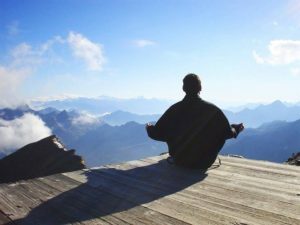 Meditation that transforms thought processes and allows the meditator to have more control over the mind and access to greater depths of knowledge, peace and truth. Training and transforming the mind and its awareness process. In Sanskrit (the language of yoga) means “inner silence.” It is a meditation technique that transforms thought processes and allows the meditator to have more control over the mind. As a Pratyahara, sense with drawl technique it leads to an internalizing of the senses allowing one to observe the inner and underlying structure of the mind and it’s processes. Our thoughts, feelings and emotions are all influenced by unseen or suppressed mental impressions from the past. Through this guided meditation previously hidden impressions become available to meditator to be reviewed from a distance and then released. This ultimately brings about release of tension, more peace, and ultimately – freedom. An excellent practice to enhance and deepen the overall meditative experience and is especially suitable for those who have already completed any of Premajyoti’s other meditation courses and those who have exposure to this practice, but wish to refine it or take it deeper.